So What Is the Truth About High Protein Products? Take a look in any supermarket, health food shop or online and you will find an abundance of products targeting gym goers, people playing sport or even people looking to lose weight. These are largely labelled as ‘high protein’ and so many people think that because of this claim they are the right choice and are good for us. However, what many people fail to understand is the government requirements for companies to be allowed to label products as ‘high protein’. This states that 20% of the energy value of the product must come from protein. So, if a product contains 3g of protein then it would mean that as long as this 3g provided 20% of the total energy value then they would be allowed to label it as high protein. It is important to remember that companies primary aim is to make money and any health or nutrition claim on the label is certainly going to help their cause. As I mentioned in the above video, I noticed a ‘high protein’ peanut butter being advertised on Facebook which was being sold for around £12 a jar and contained 33.3g of protein per 100g. If you look at the peanut butter I normally get (Pics) it contains 30.3g per 100g and is £4 a jar which is 3x less than the one labelled as ‘high protein’ yet only contains 3g less. Surely the more expensive product has better quality ingredients? If you compare the ingredients lists you will also notice a big difference. The normal peanut butter contains peanuts (99.5%) and salt. That is it. Yet the more expensive peanut butter contains 20 different ingredients including various sugars and oils. 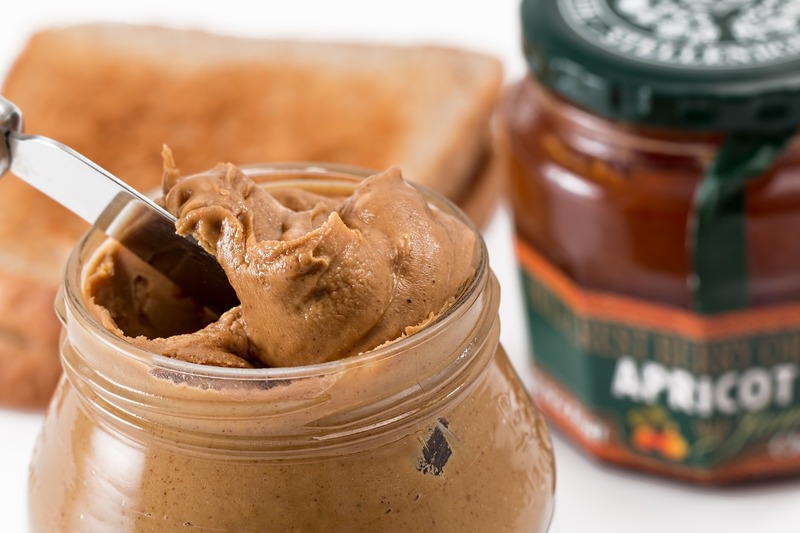 In peanut butter, the protein comes from peanuts. However, in the high protein version a proportion of these have been removed and replaced with whey powder. The history of whey is interesting and one which will really make you think about the costs of supplements. Whey is a by product of cheese production and many years ago used to just be discarded and used as a feed for pigs. Later, someone realised the commercial benefit of it and was able to create a powdered version of it which is now sold for a lot of money in supplements and other high protein products. Now looking back to the peanut butter example you can see that by removing the peanuts and replacing with whey will make it cheaper to produce, yet they are somehow selling it for around 3x the price. So if you are considering buying a high protein product, have a look at the normal versions of them as well as other foods and you will be surprised at how easy it actually to get sufficient protein at a fraction of the cost.